Too many good things again today… Josh clarified some things with Arun that lightened our hearts. It sounds as if there are many ways short term visits could be extremely helpful to them. Today many of the 27 full time workers came here to Dharwad, and we got to spend time with them. The courage and faith of these workers is very inspiring. We were able to pray for them and speak words of encouragement-Pat and Josh especially shared well. 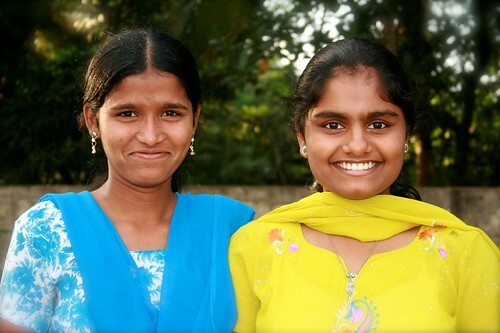 They are beginning a bible school, to train new workers. Arun chose today to officially dedicate the school, asking Josh and I to pray. But his words were so amazing. 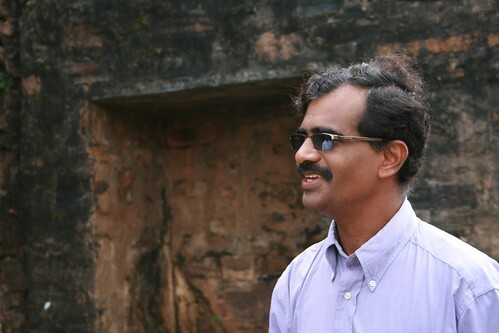 He talked about a man who came to Christ through their ministry, and went to a bible school in Bangalore. When he finished, all he wanted to do was preach. Nothing else. I’m ready to put him in charge of every seminary in America. This philosophy is just another way my heart resonates with this ministry. This is right. It fits us. We took pictures of all the workers, as we will of all the children tomorrow. We plan to make prayer cards for people back home. Then we played, played, played. We did that crazy ping pong game where you hit and put the paddle down for the next person while you run to the other side. Duck, duck goose and Josh leading “exercises” and pretending to be animals were major hits. Hayley showed them pictures from home, taught them praise choruses, and got dragged around everywhere. We led a prayer time with them, singing “Lord I lift your name on high” and “Jesus loves me.” Josh told the creation story, focusing on how God says over each one of them, “You are very good!” He did an incredible job. Then he asked them to pray for us before we prayed for them. It was one of the most moving experiences of our lives. Over 60 voices, rising together in fervent prayers to God for US!! We see Jesus in each face, hear him in each voice. We’re all finding our kids to connect with. Saveetri is one I have connected with the whole time. Tonight I played ping pong for a long time with Radha (she’s good! ), who has glomped on to Hayley a lot of the time. They keep trying to teach me the language, and I can pronounce it well, but I keep forgetting. Tomorrow I’ll try to write things down phonetically. 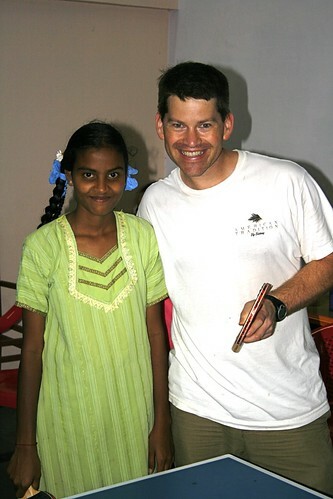 As we left, I prayed with several of the girls: for Radha and her upcoming examinations and that her family would come to know Jesus. Then I prayed that many of the girls who gathered around us would see their families come to Jesus, too. It is easy to let Christ love through us. It is easy to want to come back, and to bring and send others, and to long for God to multiply these servants exponentially. My own heart and spirit is renewed, encouraged, warmed, and challenged. God, you are so good!! Is it just me or does Arun look like Jim Jackson? I love his ideas about pastoral care and preaching too! What an amazing bible school they will have. Will Arun be the primary teacher or will they hire others?